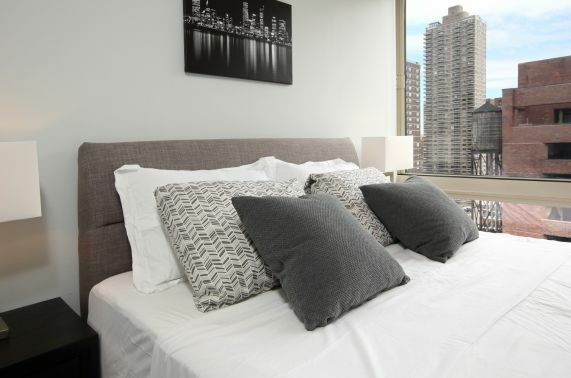 Striking glass and stone fa&ccedil;ade with a 24-hour attended lobby, a fully-equipped fitness center and a furnished rooftop with an open-air dining area. 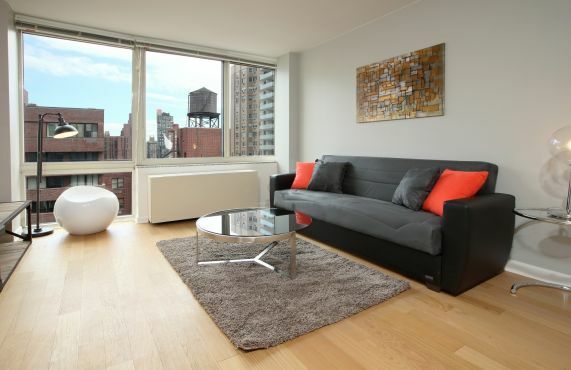 Located in the heart of the Upper East Side, with easy access to great restaurants and retailers. 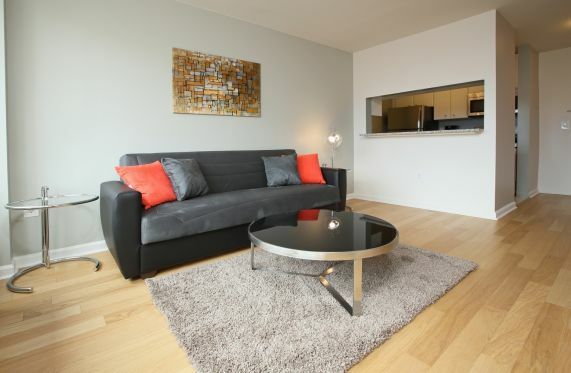 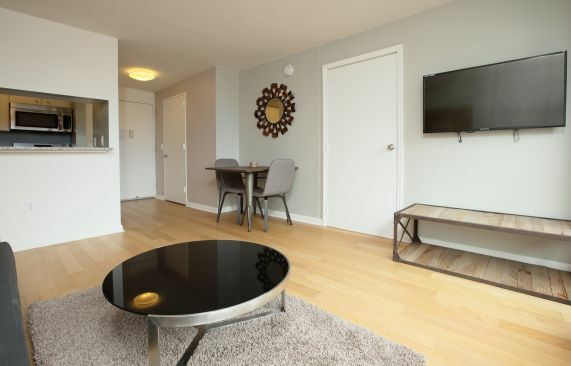 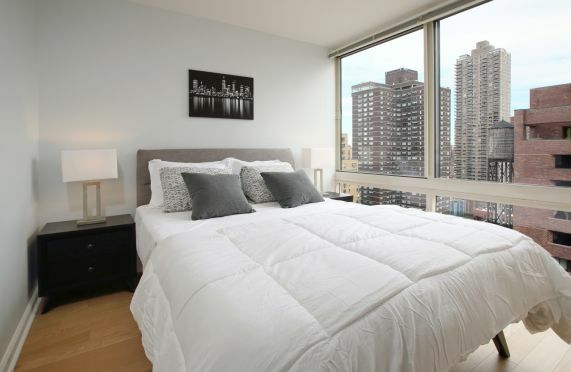 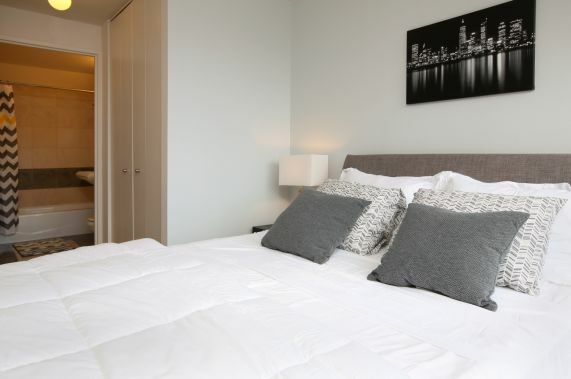 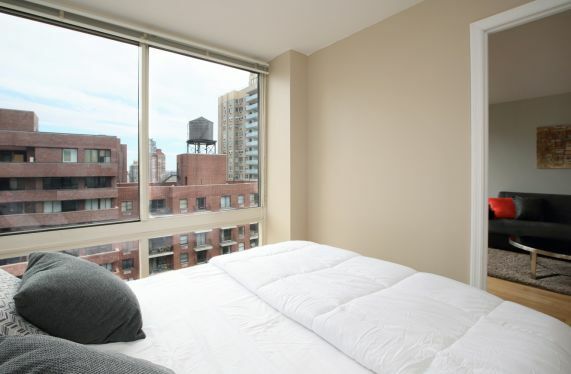 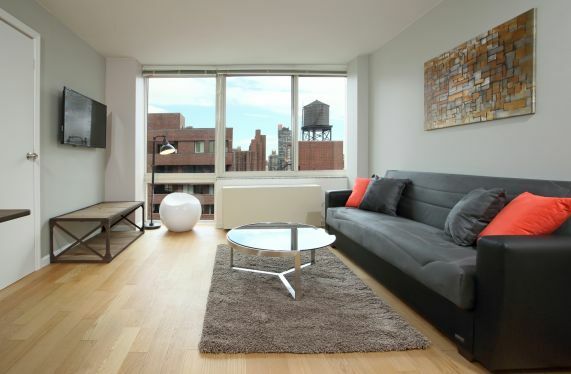 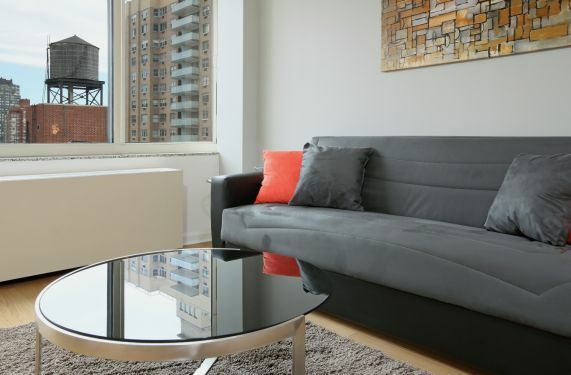 This unit is designed to provide you a luxury living experience during your stay at NYCSL. 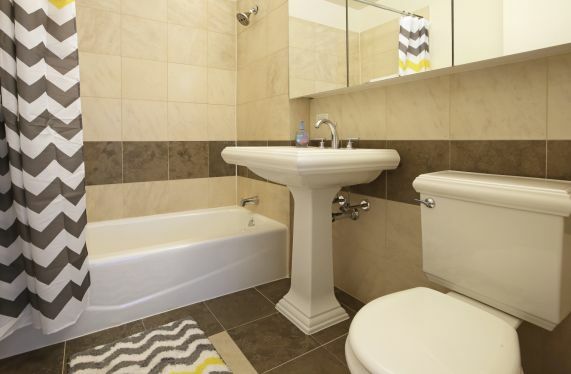 A 1 bedroom 1 bathroom with Washer/Dryer. 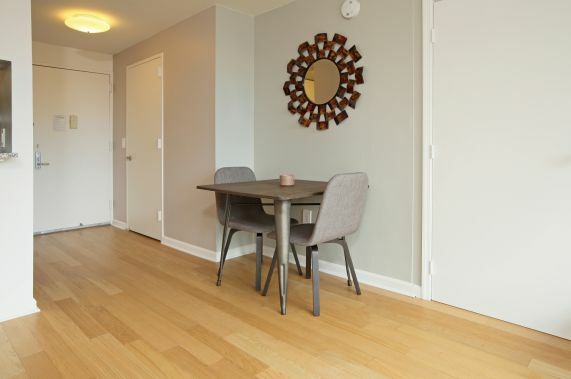 As you enter the apts gigantic living room with an unobstructed southern view, you are hit with a wall of light flooding in from the large wall of windows. 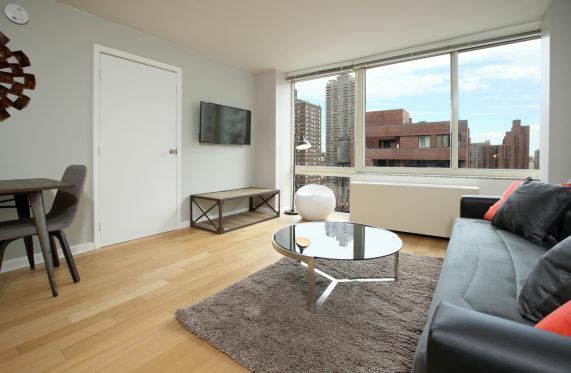 Features: * Doorman: Elevator and concierge * GYM/Roofdeck and business lounge available. 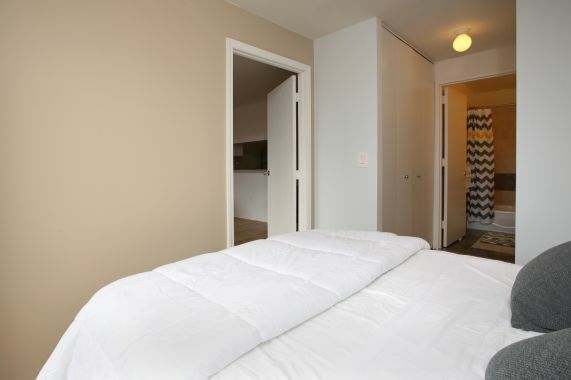 * Queen bed in the master bedroom *Fridge, dishwasher and a window in the kitchen. 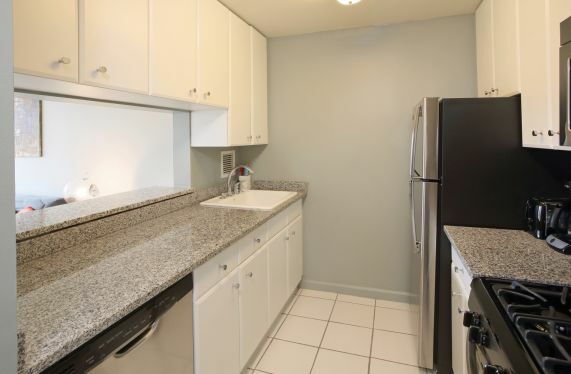 * Washer/dryer in the unit * Dining seating * Sofa bed * Abundant closet space.